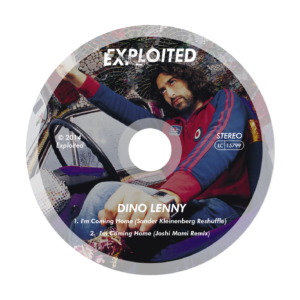 Dino Lenny wrote the original record thinking about a couple he once met in New York. This couple was rather particular as the man, who was in his mid forties, loved shiny vinyl shoes, Soul Black Music and women. His wife knew all of this but just kept on hoping he would have eyes just for her at some point. She lived day by day, worked at a local cafe and waited for something magic to happen. Luckily they had something very poetic in common: their favourite record. When this same record appeared to be the key in the magic moment the wife had been waiting for, a beautiful story awaited the two. They lived the rest of their days just as if they jumped out of their favourite song. With this beautiful and original back-story, Exploited is proud to present 2 new remixes. Sander Kleinenberg’s reshuffle we just couldn’t resist to release. So we will spare you the words and suggest you just have a listen. Joshi Mami’s take on the track is just a bit deeper without losing the poetic background and vocals. Even though the original story takes place in New York this remix brings you to a fast car drive on the Miami highway at night.